Graphics Processor Units (GPUs) are known for offering high performance and power efficiency for processing algorithms that suit well to theirmassively parallel architecture. Unfortunately, as parallel programming for thiskind of architecture requires a complex distribution of tasks and data, developersfind it difficult to implement their applications effectively. Although approachesbased on source-to-source and model-to-source transformations have intendedto provide a low learning curve for parallel programming and take advantageof architecture features to create optimized applications, the programming remains difficult for neophytes. A Model Driven Engineering (MDE) approach forGPU intends to hide the low-level details of GPU programming by automatically generating the application from the high-level specifications. However, theapplication designer should take into account some adjustments in the sourcecode to achieve better performance at runtime. Directly modifying the generated source code goes against the MDE philosophy. Moreover, the designerdoes not necessarily have the required knowledge to effectively modify the GPU generated code. This work aims at improving performance by returning to the high-level models, specific execution data from a profiling tool enhanced bysmart advices from an analysis engine. In order to keep the link between execution and model, the process is based on a traceability mechanism. Once themodel is automatically annotated, it can be refactored by aiming performanceon the regenerated code. Hence, this work allows us keeping coherence betweenmodel and code without forgetting to harness the power of GPUs. 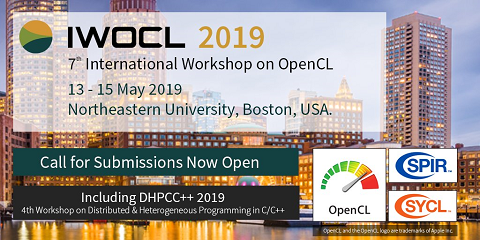 To illustrateand clarify key points of this approach, an experimental example taking place ina transformation chain from UML-MARTE models to OpenCL code is provided.